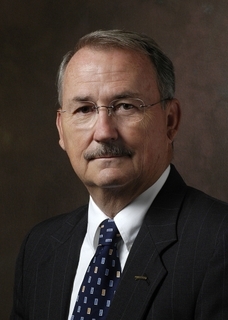 NEWPORT NEWS, Va., June 19, 2009 (GLOBE NEWSWIRE) -- Northrop Grumman Corporation (NYSE:NOC) has appointed Doug Stitzel to vice president of Department of Energy (DOE) Programs for the company's Shipbuilding sector. Stitzel is based in Newport News, Va. and reports to Matt Mulherin, sector vice president and general manager. "Doug's promotion recognizes the increasing responsibilities and opportunities associated with our Department of Energy nuclear programs," Mulherin said. "His experience, leadership and initiative have proven invaluable to our work with the Savannah River Site and will be instrumental to expanding into other new business opportunities." Stitzel will also continue to lead Shipbuilding subsidiaries as president and general manager of Newport News Nuclear, Inc. and president of Newport News Industrial Corporation. Since joining the shipyard in 1966, Stitzel has held various leadership positions in supply chain management, engineering, operations, nuclear engineering and the programs division. He most recently served as director, DOE programs. His experience includes serving as business manager for the submarine and aircraft carrier programs. He also managed business development for the shipyard's West Coast operations and he opened and managed the Washington, D.C. operations. Prior to joining Northrop Grumman, Stitzel served in the United States Army and was responsible for troop, material and equipment removal from France to the European theater due to the withdrawal of France from NATO. He earned a bachelor's degree from Christopher Newport University. He also holds master's degrees from Golden Gate University and Norfolk State University. Doug Stitzel, vice president of Department of Energy (DOE) Programs for Northrop Grumman's shipbuilding sector.